Asian Studies at the School of Global Studies promotes interdisciplinary research and teaching about East, South-East, and South Asia. Building upon the research strengths of Göteborg University in social anthropology, peace and development research, history, economic geography and linguistics, a Centre for Asian Studies (CEAS) started in the early 1980s with research projects and education on East and South-East Asia. Since 2001, South Asia is included in the area of research. Since 2005, Asia Studies is administered within the framework of the School of Global Studies at Göteborg University (SGSGU), an effort to coordinate global studies across disciplinary and regional limitations. Asian studies programmes are organised on basic and intermediate level (1–20 credits and 21–40 credits). The programmes include teaching on South Asia. 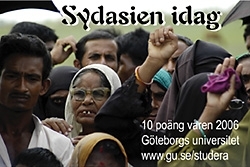 For some years a 10 credits special course called ”South Asia today” has been arranged, involving a large number of the South Asia specialists at Göteborg University, including Björn Hettne, Camilla Orjuela, Gunilla Blomquist, Bent Jörgensen, Monica Erwér and Jan Johansson. In June 2003 CEAS was involved in planning for an International Conference on Women and Politics in Asia, held at Halmstad University. CEAS organized by the conference in collaboration with the School of Social and Health Sciences, Halmstad University; the Nordic Institute of Asian Studies (NIAS), Copenhagen; and the Centre for East and South-East Asian Studies, Lund University. In January 2003 a SASNET research planning grant was given to Wil Burghoorn, CEAS (photo to the right); and Kazuki Iwanaga, Halmstad University, to enable researchers from South Asia to participate in the conference, that was a great success with 100 participating researchers from all over the World, most of them from Asia. Scientifically the conference resulted in three books published in 2004, and the formation of an international network of researchers within the field of women and politics in Asia. CEAS was involved in organising the second Gendering Asia Conference with the theme ”Agency and Power” held in Iceland in September 2006. Naila Kabeer was one of the invited key note speakers. The first Gendering Asia Conference was held in Kungälv, Sweden in May 2005 and was the launching activity for starting up the Gendering Asia Network. With the inclusion of South Asia in 2000, CEAS’ geographical mandate was set to cover Asia east of Iran or Afghanistan. Most research activities have still been consigned to East and South East Asia (including Burma), even though individual researchers at CEAS has had extensive personal networks with researchers and research environments also in India, Bangladesh and Sri Lanka (see below). Professor Wil Burghoorn has work experience from Bangladesh since 1988. As a consultant she has studied and evaluated the socio-cultural dimension of development projects aimed at improving agricultural production through small scale water schemes on flood control, drainage improvement and irrigation. • Alexandra Kent and • Jan Johansson from the Division of Social Anthropology. Sven Cederroth, also from the Division of Social Anthropology, has worked for several years in Bangladesh, besides publishing material from Nepal, but is now doing research on Modern Islamic Fundamentalism in Malaysia and Indonesia. The Centre for Asian Studies at Göteborg University was for some time involved in a organized collaboration with the University of Oslo, Norway (UiO). 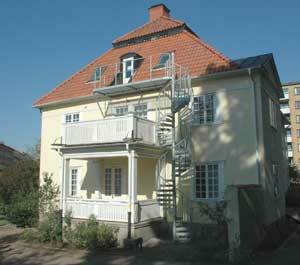 It was called OGSAA (Oslo Gothenburg School of Asian and African Studies). On 27–28 May 2004 OGSAA organized a workshop on ”Religion, Power and Politics in Asia and Africa”, hosted by the Centre for Asian Studies in Göteborg. The work-shop was open for scholars and graduate students based at either University of Oslo, or Göteborg University. It included one pabel on ”Political Dynamics in Islam and Hinduism”, convened by Pamela Gwynne Price (UiO) and Jörgen Hellman (GU); and one panel on ”Political and Religious Authority in Buddhist Asia”, convened by Gustaaf Houtman and Per Lundberg (UiO); and Koenraad Weelens and Marcus Jacobus Teeuwen (GU). The key note speaker were Professor William Pinch, Wesleyan University, USA, who has written a well-received study, Peasants and Monks in British India (Berkeley: University of California Press, 1996). However the OGSAA does not work any more.